Arctic has announced a special version of its popular Freezer 33-series cooler, this time designed specifically for AMD’s Ryzen Threadripper microprocessor. The cooler is not only physically compatible with the Socket TR4 mounting mechanism, but the base has been extended to cover Threadripper’s integrated heatspreader (IHS) in order to improve cooling efficiency. The MCM architecture of AMD’s EPYC and Threadripper processors required AMD to design a CPU form-factor and socket that is explicitly rectangular rather than square-like. 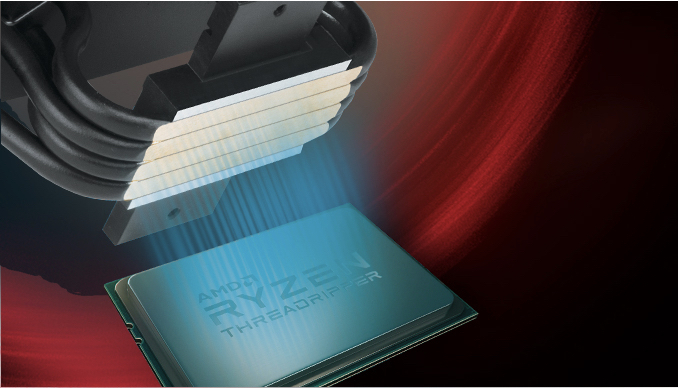 Since AMD’s Socket TR4 for the Threadripper CPUs derives from the Socket SP3r2 for servers, it has the same shape and dimensions. Most of the coolers on the market today were not designed for such a large rectangular contact like TR4 and they cannot cover 100% of its surface because they were developed for square-like CPUs. So while it is possible to use an existing cooler for AMD’s TR4 CPUs using special mounting brackets, its base does not cover part of the IHS and this is potentially going to lower its efficiency - cooling companies are now moving forward with larger TR4 specific designs to address this market. 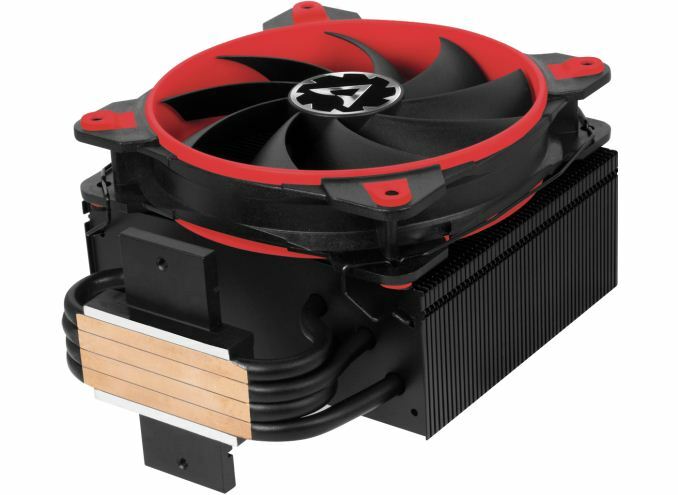 The Freezer 33 is currently the flagship air CPU cooler from Arctic. The device has four 6-mm copper heatpipes, 49 aluminum fins that are 0.4-mm thick, and a 120-mm fan. The main difference between the new Freezer 33 TR versus the regular Freezer 33 is a slightly longer copper base, as well as the black and red color scheme (black and white scheme is also available). Other than that, everything is the same. By redesigning the base of its Freezer 33 TR cooler for the sTR4, Arctic is aiming to enhance its thermal performance for AMD's new CPUs and potentially give some additional overclocking headroom for those who need it. Arctic claims that the Freezer 33 TR was developed to cool down CPUs with up to 200 W TDP, but its maximum cooling capacity is 320 W. The design of the cooler can support the installation of two fans (to maximize potential) as well as supporting the installation of memory modules of moderate height. Arctic’s fans for the Freezer 33 TR use fluid dynamic bearing motors, feature 200-1800 RPM speed and are PWM-controlled to minimize noise under light loads. The redesign of the base of the cooler has affected the compatibility of the Freezer 33 TR cooler with mainstream Intel platforms. The new cooler is thus only compatible only with AMD’s TR4 and AM4, as well as Intel’s LGA2011-3 as well as LGA2066 sockets. The Arctic Freezer 33 TR is already available directly from the company and its resellers are set to get the cooler in the coming days or weeks. The product costs €47.99 and will be one the most affordable coolers designed specifically for AMD’s Ryzen Threadripper. Why need to make it compatible with intel, good thing ditching it. With Intel what? Core i9? The reason this is being considered "designed for Threadripper" is because the heatspreader is massive. 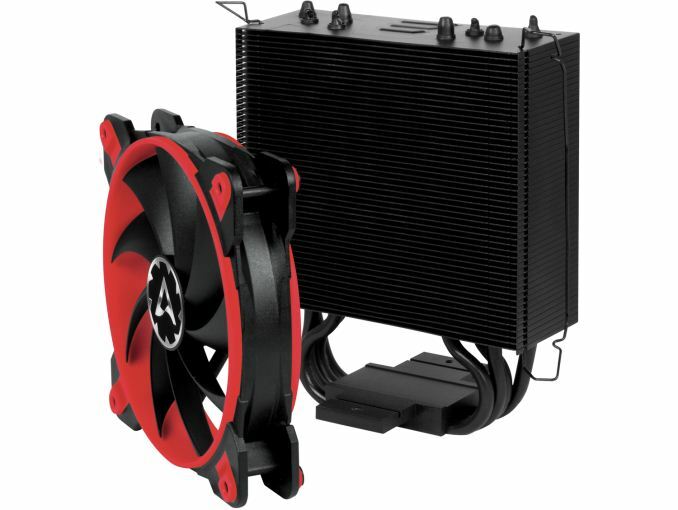 No mainstream air cooler actually covers it, even if the mounting bracket is modified.